Back then, we had some Sega employees check out department stores to see the product packaging and customer reaction, but instead what we saw were Family Computers flying off the shelves, right before our eyes. They said that it was about ten for every one who purchased the SG-1000. I thought the difference was in software. Honestly, the software quality wasn’t that great. The reason was because the company saw video game consoles as an extra or bonus, in a sense. We couldn’t get our in-house development team to budge. We had no choice but to outsource the software, but against Nintendo’s fine software, it just wasn’t meant to be. What do you think about Hideki Sato's comments? Do you remember the days when Sega was competing against Nintendo in the console market? Tell us below. Nintendo had a strong foot hold on the market and for Sega to crack that was an accomplishment in and of itself. What really made them though was not taking the kid friendly route and of course Sonic didn't hurt either. SEGA = try to be cool & edgy by violence & mature games. Nintendo = try to be cool by Family oriented games. And that's why i choose Nintendo. I (Almost) Don't care with SEGA games at all. And after all these years they still haven't learned their lesson. Sega continues to produce some quality games, but they really need to distance themselves from Sonic and nostalgia-baiting. It's become quite tiresome, especially since so much of their back catalogue is nothing worth writing home about. Merely being old does not make something a classic. With that said, I would like to see an Alex Kidd reboot, as well as new instalments of Comix Zone, Rub Rabbits, Out Run, Crazy Taxi, and Hatsune Miku. Each of those brands have enormous potential. And don't forget about Super Monkey Ball! Sega truly was the greatest in the 16-bit era. Nintendo had a fine run with SNES and it's many quality games, but Sega really was the king in that era. 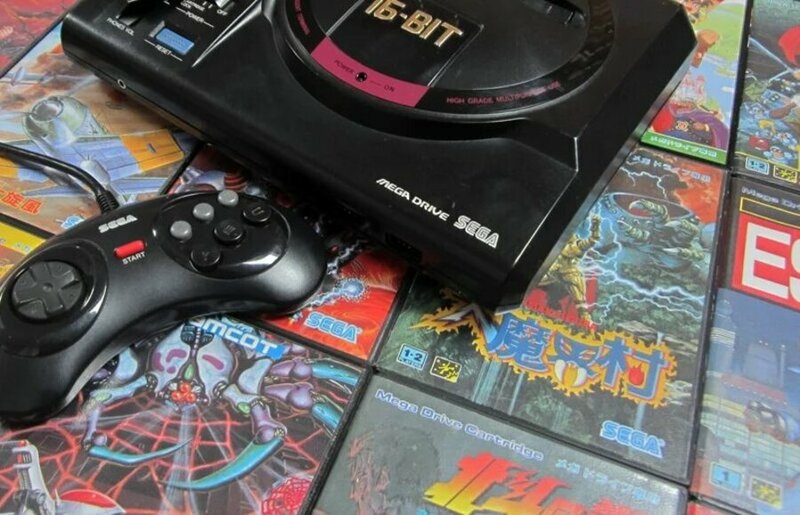 It is a shame Sega is not making consoles anymore as Dreamcast was one of the best consoles ever made, but Sega is to blame because internal struggles and absolutely ridiculous decisions to make Mega CD and 32x. I don't remember those days luckily, when I started looking for games instead of hand-me-downs Sonic was already on GameCube and GBA. Having been able to experience Sonic's debut games on the GC in addition to the latest games, in addition to Nintendo's latest games was definitely something else. @Kolzig "Sega truly was the greatest in the 16-bit era. Nintendo had a fine run with SNES and it's many quality games, but Sega really was the king in that era." I suppose if you are from Europe you could feel that way, but the reality is the SNES sold 49.1 million units to the genesis/MD's 30.75. And that's just hardware, look at software sales. Sega got trounced in that era. Blast Processing is a conspiracy. @Liam_Doolan "Sato confessed the team simply wanted to create a game console that could beat the Super Famicom"
Do you mean the Famicom? The Mega Drive was launched two years before the Super Famicom, how could it be designed to compete against something which didn't exist yet? @antonvaltaz Whoops, my mistake. Fixed! They wanted to make a Console to best the market leader? Er. Wow. Water is wet etc. How is this an admission? In other news, General Motors wants to beat Ford Motor company and LG seeks to beat Apple. Later at 7 we talk about how Pepsi seeks to "beat" Coca Cola! Seriously you guys need to stop with articles like this. I know you want to get stuff out but now you are just grasping at straws and resorting to tactics that sites like IGN stoop too. You were better the this NL what happened? Well, I think the Famicom was technically superior to SG-1000 (which was effectively the same hardware as Colecovision) which is why Sega upgraded it to the Master System to compete with Nintendo internationally but only seemed to have accomplished that in PAL regions and Brazil. They couldn't really compete with the Nintendo's infamous licensing policy of the '80s though, that was probably the biggest kicker, so you can't really blame them for that. Though I've heard that finding one of those 160,000 SG-1000s these days is going to be quite difficult and pricey. WOW!!!! How is this news??? Isn't every business like this? "Hey, that company is doing well offering this product or service to others. I bet I could do the same but better and get a piece of the action." I think everyone knew that! But interesting about the whole software realisation. Played both significantly during the day but definitely preferred the SNES. Sega had the more fast paced action and arcade games but the SNES gave some truly memorable experiences that remain with me to this day. Plus it had UN Squadron that I consider the greatest 16 Bit shm’up of all time. Not bad for a slow processored console. Also there was something about that “twanging” sound the Mega Drive’s sound always had. Worked for some games but really not others. @Anti-Matter no, SEGA were cool for their fantastic arcade games. You missed out big dude. I grew up with SEGA, Master System II was my first console, and it was Sonic that hooked me from an early age. It was a sad day when Sega moved to software only. But after SONY bought out all the good developers for the Playstation, it destoryed them. @Anti-Matter Then you missed out on some of the best Arcade conversions ever created. Plus some of the best RPG's. Sega did a great job going against Nintendo in the situation they were in. Nintendo had a monopoly and played dirty during the 8 bit generation into the 16 bit generation by not letting software companies make games for their competitors or else....Sega had to use their library and own ideas to make it. Now in the early to mid 90's when "blood" in games was cool, I thought it was ridiculous. I didn't think video games needed to be violent and I still don't so I'll give you that. But Sega, I felt was better. I chose the SMS over NES because I thought the NES was no more powerful than a Colecovision. @Pigeon Agreed, they were awesome. They had the best games...especially battling against Nintendo and their dirty monopoly practices. Well said and I still prefer the Genesis's sound chips/synth over the muffled sample-based SNES's. A lot of fan based music created today for it shows just how under-utilized the sound capabilities were used by most lazy western devs. I still owned both consoles (and a TG16 and TurboDUO) and still really loved my SNES though. Hudson Soft ended up doing it with PCE in JPN! I'm not a SEGA fan even since when i was kid. I grew up with NES & SNES games during my Childhood. Btw, for Arcade machine, i have been Falling in Love with Dance Dance Revolution from Konami. Just ONLY Dance Dance Revolution Arcade that i STILL play until today for 15 years since 2003. I have NO Interest at all with Realistic racing, Shooting, Any Arcade games from SEGA (Those machines are still exist at my local Game Center). And that's why i gave 10 from 10 for DDR as my Signature. A Perfect Game for me. Sega was always secondary to Nintendo in my eyes, from Master System all the way up to Dreamcast, but they made some fine games and systems in their time and I feel some serious nostalgia for Genesis (Mega Drive), Saturn and Dreamcast games. I loved both, but if I ever had to choose, I chose Nintendo. It's a shame they faded from the console market while junk like Xbox continues to take up space. Sega was the schnitzel,yes the schnitzel, during its short bright shot at the crown. I personally loved the Genesis era as well as the Nintendo offerings. Sega just had a deep dysfunction between America and Japan they could never work out. That's interesting to hear that at the time Sega wasn't really invested in their own console at the start. In hindsight it makes a lot of sense. They didn't realize the potential until they'd already backed themselves into a corner. That's a shame. OTOH, given the history of Sonic, it seems like 30 years hasn't really helped their perception. Games sell the console! Not the other way around. I wish Microsoft would take this tk heart. A more competitive market is better than just having 1 company that gets all the "moolah"
@DenDen I assume when you say "convince", you mean "bash"
@kepsux It's a bit untrue to claim that Sega got trounced when the only market where the SNES sold more was Japan. Japan bought a mere 4.3 million Mega Drives but a massive 17.7 million SNESes (?). Not taking the one exception to the rule into account really skews the numbers. Also don't forget that by the time SNES started picking up sales, Sega was already pushing the Saturn. In hindsight, they really should have flushed that turd before it hit the market (except for the controller) and invested a lot more time and effort into the 32X, which had a lot of potential and would have been a great way to keep on selling Mega Drives. Then again, the Saturn was Sega of Japan's doing, and given the relative lack of Mega Drives sold in Japan, perhaps the 32X wouldn't really have worked out over there either way. Perhaps as an all-in-one console, given Sega's penchant for releasing revisions of revisions of revisions. @kepsux I'd hardly call that being trounced. It was a magnificient showing given what they were up against, and they did win in the PAL markets while pulling near even in North America. I don't know that Sony would've had the success they did had Sega not already significantly dented Nintendo's market share first. It's just a shame that all the consoles Sega tried after that were victims of poor decision making and/or bad timing.